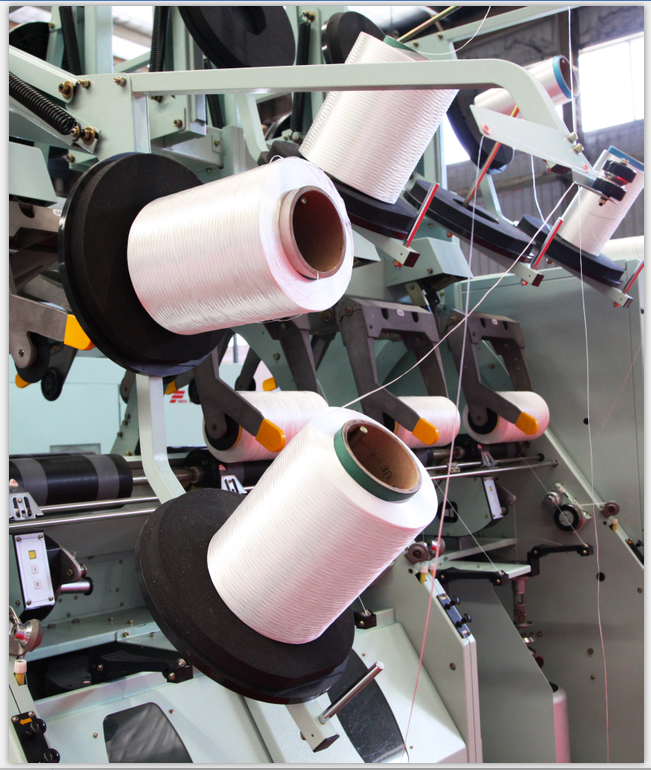 Product categories of Direct Twister Cord Thread, we are specialized manufacturers from China, Direct Twister Cord Thread, Direct Twister suppliers/factory, wholesale high-quality products of Thread Twister R & D and manufacturing, we have the perfect after-sales service and technical support. Look forward to your cooperation! 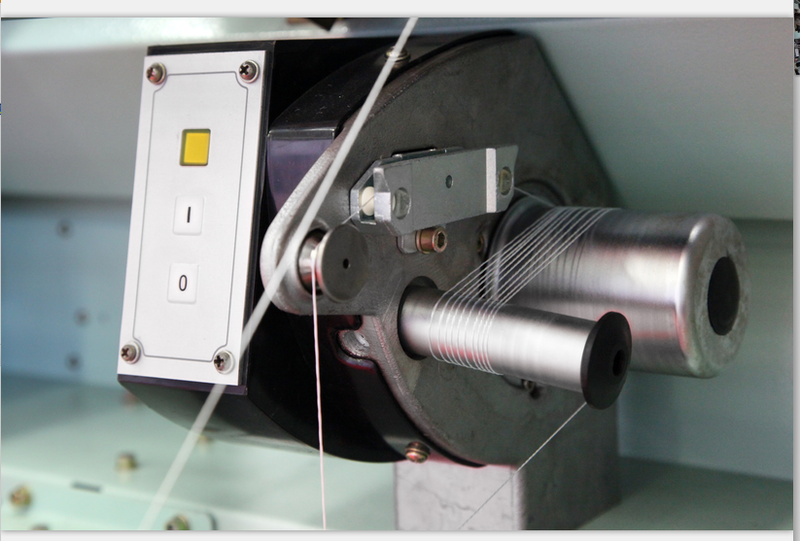 The TC21 series cord straight Twisting Machine is a one step twisting equipment that directly combines and twisters 2 untwisted silk yarns by means of the rope splicing twisting and is applicative for the twisting of polyester, nylon, aramid fiber, polypropylene, rayon and other industrial yarns. The machine is featured with big package, low power consumption, less labor, short process, and high quality of obtained cord thread. 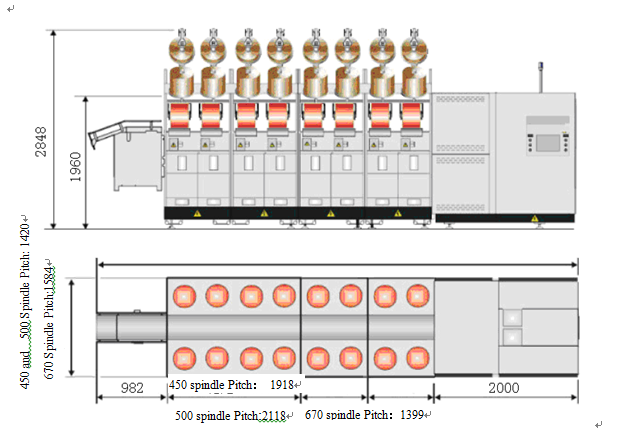 It is also a high efficient and energy saving industrial yarn twisting equipment and its single spindle can save up to 40% of power consumption compared with traditional twisting machine. 2.1. Adopt the patent energy saving technology of [controlling balloon" and can reduce up to 40% of the power consumption and reduce 30% of the balloon noise at the most. 2.2 Use high efficiency and energy saving motor, each single motor drives independently and the highest spindle speed can reach 11000rpm. 2.3 Use the advanced twisting technology to reduce the length difference of the each yarn to the minimum. 2.4 The spindle motor, the overfeed roller and the winding roller can stop the spindle independently, making the operation of twisting position simple and safe. 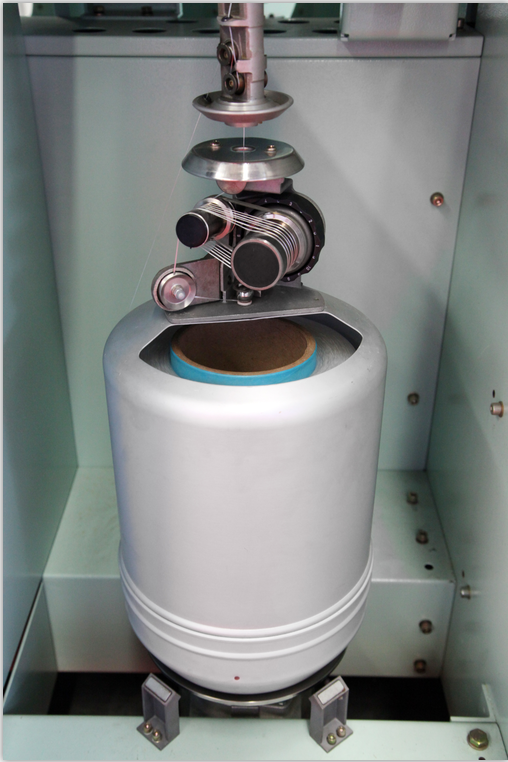 2.5 Fast and flexible pneumatic yarn threading device. 2.6 Each twisting position is equipped with yarn guiding compensation and monitoring devices to ensure excellent product quality. 2.7 The centralized adjustable constant winding tension ensures excellent bobbin forming, fine winding performance and reduces the winding difference. 2.8 The stable and recoilless hinge creel rocker arm makes the operation of the twisting positions convenient and efficient. 2.9 Equipped with doffing delivery device. 2.10 The process is convenient to adjust and the transmission system can achieve step-less speed regulation. 2.11 Better silk rolling unit to reduce breakage and increase the full bobbin rate.